Elon Musk's Tesla will build what the maverick entrepreneur claims is the world's largest lithium ion battery within 100 days, making good on a Twitter promise to ease South Australia's energy woes. Billionaire Musk tweeted an offer to help build a battery farm in March after South Australia was hit with a total blackout when an "unprecedented" storm wrecked power transmission towers in 2016. "This system will be three times more powerful than any system on Earth," Musk told reporters in the state capital Adelaide. Tesla has built the world's current largest battery, which came online in California in December, Musk said, adding that the South Australian battery would be 100 megawatts—enough to power 30,000 homes. "This is not a minor foray into the frontier... I'm pretty darn impressed with South Australia willing to do a project of this magnitude that is beyond anything else in the world," Musk said. "That takes a lot of gumption... I do see this as something that the world will look at as an example." The battery will be built in Jamestown, 230 kilometres (143 miles) north of Adelaide and will be paired with a nearby wind farm run by Neoen, a French renewable energy company, South Australian Premier Jay Weatherill said. Experts said the battery could help transform the renewable energy landscape by addressing the intermittent nature of sources such as wind and solar by pairing them with a large-scale electricity storage system. "Variability is one of the key challenges in integrating large amounts of renewables into power systems as we try and get towards 100 percent renewables," Ariel Liebman of Monash University's MEMSI energy institute told AFP. "So we need a balancing mechanism that helps take some excess production when these things are producing a lot and then distribute it into the system when it's needed and there's not so much production." Musk said it was "common sense that if you have solar you must have battery because otherwise your power is going to be proportionate to how sunny it is". "I specifically think that the consistently lowering cost of batteries, coupled with renewables, is going to fundamentally reshape the energy landscape much faster than anyone thinks it will," Cal Lankton, Tesla's vice president of global infrastructure operations, added. Musk acknowledged his company had to overcome the technical risks associated with building a project at such a large scale, but said Tesla was confident of its success. The high-flying firm, known for producing electric cars, has agreed to deliver the battery "within 100 days or it is free", Weatherill added. No figures were given for the cost of the contract. Neoen, which has built major projects around the world since being set set up in 2008, operates Europe's biggest solar energy park in southwest France, which can produce the equivalent annual electricity to supply a town of 300,000 people. South Africa-born Musk has envisaged Tesla as a company that can help reduce emissions by not only selling people electric cars, but also generating and storing the renewable energy that powers them. Australia is one of the world's worst per capita greenhouse gas polluters due to heavy use of coal-fired power. Less dependency on coal is good. Now if he could produce a battery for my home that would be able to provide 100 amps continuasly for around $500.00 I would be in. It is a great time to watch the yay sayers prove that change can happen. Li-ion batteries are not the most cost effective technology for a static installation. Imagine the complexity of the Li-ion cell balancing systems of a 100MWh installation. Musk must have a good sales team. It's not the power output of the battery - that's the easy bit - it's the capacity that is the question. Consider that each Model S battery has an output of 500+ kW but only 100 kWh of capacity, so it runs out in 12 minutes at full power. That's because the type of lithium-ion batteries that Tesla uses has a safe maximum current draw somewhere around 5-7C or 5-7x the capacity. Musk seems to have an uncanny ability to pull off what so many say cannot be done. There are already MW and MWh scale batteries in the world, in Africa of all places, and Canada, Japan etc. This is just a publicity stunt for Tesla. The larger problem is that the type of cells that Tesla uses in the system is not going to last for very long, because it's the same type that's used in the cars - so the whole system is going for scrap in 10 years or so - and that's hugely expensive. This is exactly because the NCA cells offer higher power output than the more durable NMC type cells, so they can get away with having less capacity. This makes sense because the cells are so expensive - the economic case is selling short bursts of power when the prices peak extremely high. Now, the reason why this "world's largest battery" is just smoke and mirrors at this point is that the renewable energy economy needs terawatt-hour scale storage capacity - and that's just in one country. Having MWh scale batteries is 1,000,000 times too small. For comparison, the total energy consumption of Australia is about 1,700 TWh per year, and electricity consumption is around 230 TWh per year. One of these Tesla's 100 MW (~20 MWh?) batteries is really a gnat's fart. It represents approximately 2.74 seconds of power on the Australian grid. Not even a thousand of them will make much difference in the large scheme of things. Furthermore, at $150 per kWh for the battery cells, one TWh of battery storage would be just absolutely ridiculous. $150 billion dollars, every 10-15 years as the cells expire. I hope they make a plan for how to properly dispose of these batteries when broken or thrown out. People keep creating stuff that eventually has to be thrown away. Mountains of toxic useless garbage. The perennial nay sayers never fail to show up. If you look at this cost curve on solar panels - you will see that the cost has fallen from $76 per watt, to $0.75 per watt, in 40 years. https://cleantech...-charts/ The costs are going to keep coming down. 40 years ago - Eikka would have said that solar panels were just a gnats fart - and he knew better than the engineers on everything. Today - almost 1/4 of Australian homes have solar panels -https://www.pv-ma...e-solar/ This company thinks it is set to displace the traditional power system - with home solar and battery - http://renewecono...s-90595/ My money is on the smart engineers at Tesla, Sonnen, etc. So far you've been doing good analyses on the battery but you missed it here. After about 10 years of average number of charge/discharge cycles the battery will fall back to 80% of it's original energy density capacity & becomes unusable for EV use. However, it is then recycled into the Powerwall System & Tesla is giving EV owners a trade-in value for the used battery. I don't know what the trade-in value is. Our business uses Powerwall in special applications and they work fantastically fine for OUR use. Benni The 18650 batteries are not degrading to 80% after 10 years. http://www.teslar...adation/ Most batteries seem to be staying around 90% or above - even after 200,000 miles. The power wall is using the newer 2170 batteries - that have even better results. Can you give some links to show that Tesla is using 'recycled' car batteries in their Powerwall. There several models of Powerwall. Whether the battery is recycled EV, or new, depends on the battery. We have specs on the batteries we've used & they are not available on-line that I know of. While large scale electron storage systems (as opposed to kinetic or potential energy storage) may in fact be the solution to the intermittent nature of most current alternate energy sources, I find it pretty dubious that lithium ion batteries will ever be one of them. There are much less expensive large scale electron storage devices, such as flow batteries, upcoming sodium-ion or magnesium-ion batteries, etc. Lithium-ion is simply too expensive. Benni - I just asked if you had any links to show that Tesla is using 'recycled' batteries in their Powerwall. I am not aware that there are currently any programs that are putting 'recycled' car batteries in Powerwalls. If there are such - there will surely be links that we can look at. I want to check this topic out. I can find nothing on it. HAHAHAHAHHA He just doesn't get it. First you build cars people cannot afford then they cannot fuel them to drive across country and you claim success? Wihtout government subsidies you would but junk. And If I can't take your car and drive from Texas to Kentucky and not refuel it all along the way why the hell should buy it.? Wake up stupid. Pretending its a good buy is dumb! If I have to drive only in pathetic out of touch, dirt bag, liberal land I don't want your car!!! Oh, I misunderstood your question. Yeah, I did read about it online concerning recycling of EV batteries & using them in Powerwall. I know when we made the purchase of Powerwalls that it was made clear to the Marketing Dept that we would be getting a steep discount due to the fact that not all the battery components were brand new. Detailed records of the transactions are proprietary, so that's as far as I can go from that standpoint but it is online, all I can suggest is that you keep your eyes peeled out for it. "Once they've been used, the batteries only retain about 70-80% of their original capacity so while this is not enough to use in a vehicle they can still find other uses. The US Department of Energy awarded $9.5 million to Toxco in order to build the first recycling facility for lithium-ion car batteries. Major electric car battery manufacturers such as Tesla have already begun to send battery packs to them." Neither of the links you gave were specific to Tesla - or supported your assertions. I can find no information on line about Tesla having a program that is taking recycled car batteries, and using them in Powerwalls. My understanding is that the Powerwalls are using brand new out of the factory components. I find no information on Tesla giving "trade-in value" when replacing batteries - in fact the forums I browsed - said the batteries were holding up incredibly well - and were not needing any replacement. Benni - I just asked if you had any links to show that Tesla is using 'recycled' batteries in their Powerwall. I am not aware that there are currently any programs that are putting 'recycled' car batteries in Powerwalls. What the hell? Your eyes are so glazed over in green that you can't read plainly stated words within the article which I partially reproduced just so you'd know where to go within the link to find it? I won't bother asking if you know how to do Differential Equations. No I can't. But that is not the topic at hand. I can read - and your article says nothing about Tesla taking recycled car batteries - and using them in the Powerwall - which was your assertion - and is obviously made up. Perhaps you can do de, who cares? - so can every high school student who took calculus. Your specialty seems to be making things up - and then obfuscating. .......not only that, you're also unable to read. Who does your posts, your 5 year old grandkid? .not only that, you're also unable to read. I keep asking you to provide a link to support your assertion - regarding Tesla taking old batteries - giving the customers 'trade-in value' - and then using the batteries in a Powerwall. Please show where any of your links support that assertion. There are renewable solutions which use energy storage to store useful amounts of solar and wind energy. The energy capacity required is of the order of a day's peak demand, which for South Australia is 24 hours x 3,000 MW or 72,000 MWh - if you have plenty of renewable energy back-up power, say from biomass-burning power stations, you could manage with less energy storage capacity, maybe half that - only 36,000 MWh. Musk is conning South Australia with an irrelevant useless 129MWh which at least 200 times less energy storage capacity that SA needs for a renewable energy solution. Musk is throwing straws for drowning men to cling on to, and charging them a pretty penny for each straw. Pumped-storage hydro solutions are likely to be the cost effective and quickest solutions for large capacity energy storage problems. The primary goal of this installation - is grid stabilization - https://techcrunc...nd-farm/ Australia experienced a major power outage recently - caused by a transmission line being down due to a major storm. Nat gas prices have doubled recently - causing Australia's electricity prices to spike. The bigger point is cheap wind and solar - stabilized by rapid response storage such as this - equals a cheaper overall system. Yes - hydo will beat out batteries for long term storage - given the current cost of batteries. That may not be true - as battery technology improves. Except that South Australia has no hills and it probably has enough of water neither. South Australia has the Flinders Ranges, convenient for using sea water and perhaps the sea as the lower reservoir too. But Australia already produces 25% of world reserves of lithium which Musk/USA is searching for. And it has lot of coil for to cover this wasteful energy storage technology. Therefore from both Musks, both Australia perspective this project is interesting - I just doubt it will contribute to decreasing of carbon dioxide levels. "Both Musks"? He has a wave-particle duality? The primary goal of this installation - is grid stabilization - https://techcrunc...nd-farm/ Australia experienced a major power outage recently - caused by a transmission line being down due to a major storm. They should have invested in stronger / redundant transmission lines instead. The bigger point is cheap wind and solar - stabilized by rapid response storage such as this - equals a cheaper overall system. His battery cannot even stabilize the output of the nearby 315MW wind farm it is paired with. For a peak demand of 1/7 x 315 = 45 MW, he'd need 1.5 days x 45MW = 1620 MWh. His 129 GWh is 8% of the energy storage needed and its 100MW is an empty boast. "Its 129MWh is 8% of the energy storage needed and its 100MW is an empty boast." And yes - the engineers have calculated that the system Tesla is installing is sufficient to do the job. Musk; the Boer version of P.T. Barnum. The point is that neither is doing anything relevant _right now_ so there's no point in congratulating and asspatting people over it, saying they're doing "the impossible". They're not. They're actually doing bugger all and just taking the credit. Eikka, Tesla uses NMC for stationary storage and NCA for vehicles because the two end uses have different cycling requirements. Yes. NMC for the powerwalls, but then again NCA for the grid batteries for their higher power handling, as pointed out by the article I provided you. Benni The 18650 batteries are not degrading to 80% after 10 years. http://www.teslar...adation/ Most batteries seem to be staying around 90% or above - even after 200,000 miles. None of the batteries in that database are actually 10 years old. The oldest one looks to be 2014 - just three years old - because the car hasn't been on the market for that long, so again your evidence does not support your claim. 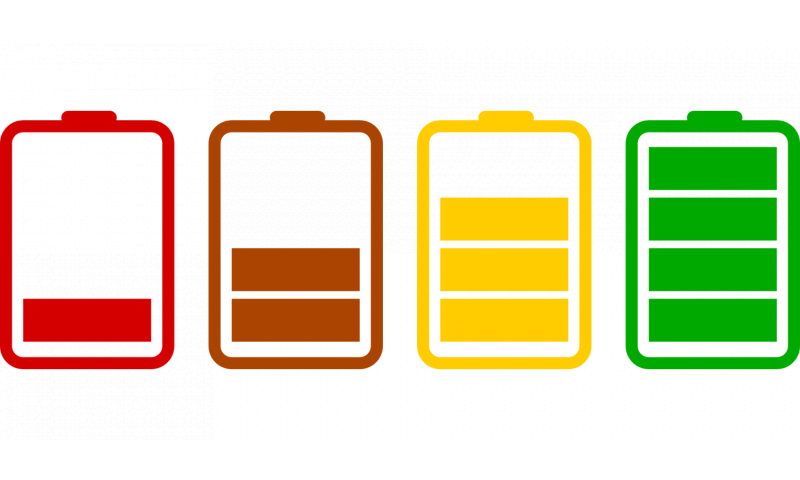 Lithium batteries have both a shelf-life and a cycle life. The battery in a Model S is sufficiently large to go through 200,000 miles without exhausting its cycles. Even the graphs show the highest mileage cars at under 750 cycles on the battery, out of 800-1000. We went through this already at the other article. The weardown mechanism of a lithium battery is exponential, which means that you can put a lot of cycles through a new battery if you do it quickly, without losing much capacity, but do the same on an old battery and it quickly gives up the ghost. Note that the cycle life of lithium batteries is not measured to 0% capacity, but to the turning point on the exponential curve where the capacity starts to drop towards zero. After that point the battery becomes useless because it turns unpredictable and potentially dangerous to use, and even if you ran it to the ground you probably wouldn't get more than 10-15% more cycles out of it. Erm, an exponential curve is always dropping towards zero; there is no point where it starts happening.